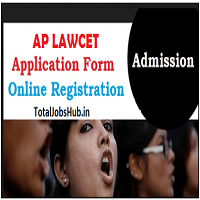 AP LAWCET 2019 Notification Application Form APSCHE PGLCET Apply: Hey, aspirants are you looking the news regarding Law entrance examination? So aspirants check this page we have great news for you. The Andhra Pradesh Law Common Entrance Test will ready to release AP LAWCET 2019 Notification. The main aim of this opportunity is to provide the platform to the eligible aspirants who want to make their career in law sector. So aspirants must grab this chance after filling AP LAWCET 2019 Application Form. The form of AP LAWCET 2019 will release expectedly in the month of March 2019. It is a well-known law entrance examination and it will organize every year for admissions in Law courses such as 3 years and 5 years LLB and BL. After qualifying this examination aspirants will get admission in the Top University which name is Sri Krishnadevaraya University, Anantapuramu. So candidate, if you want to get this, must check this page and participate in this process. After bookmarking this page, check time to time updates of this AP LAWCET 2019. Aspirants for applying 3 yr LL.B Course candidate must complete graduate Degree (10+2+3 pattern) with 45% of aggregate marks. If you have applied for the 5 yr program then the applicant must complete Intermediate Examination (10+2 pattern) with 45%. SC/ST candidates have to pay application fee is Rs.150 per candidate. Candidate’s application fee must be pay through online / E-Seva / Mee-Seva by using Debit card/Credit card/Net banking. For applying this candidate should have the domicile of Andhra Pradesh with Indian Nationality. This exam will be in offline mode i.e. pen and paper based. The total time of examination is 1 hour 30 minutes. The paper format will be of MCQ type. The presented language of paper will be Telugu and English both. Paper consist the total 120 questions. The paper will be divided into 3 parts and all part detail will give below. Part 1: General Knowledge, Mental ability – 30 questions and 30 marks. Part 2: Current Affairs – 30 questions and 30 marks. Applicants should start the application procedure by registering to appear for AP LAWCET 2019. Applicants should visit official website www.aplawcet.org to apply for AP LAW Examination. The application procedure will be completed by the payment. Candidates should fill their Educational, Personal, Communication details.